Delicious food adventures of Keropok Man in Singapore. I bought this ice tray from Ikea a few days ago. 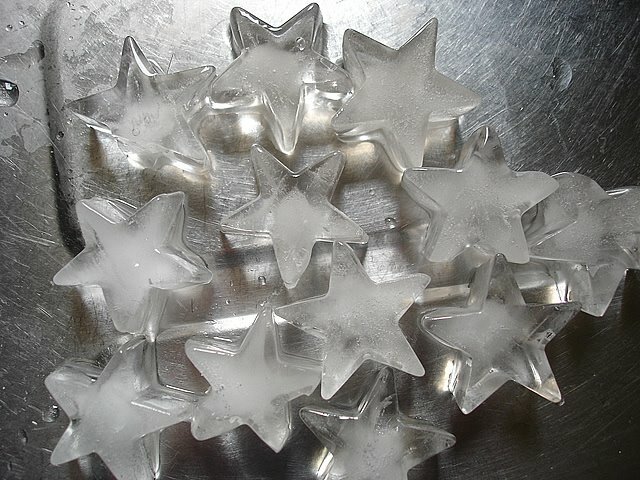 This is how the ice looks like! Spider? That's the name they use for soft shell crab. 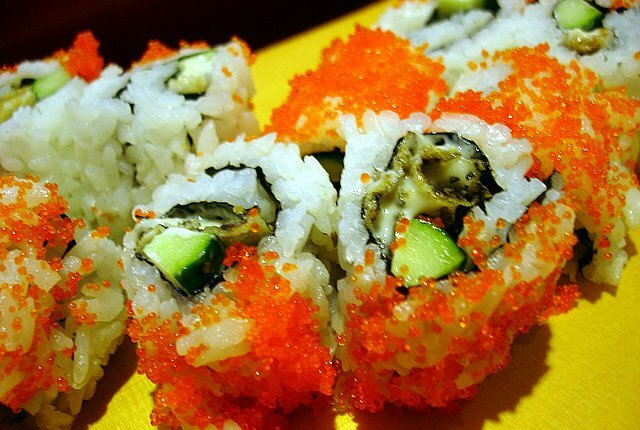 This is the Spider Maki. If you like Karaage, you might order this. 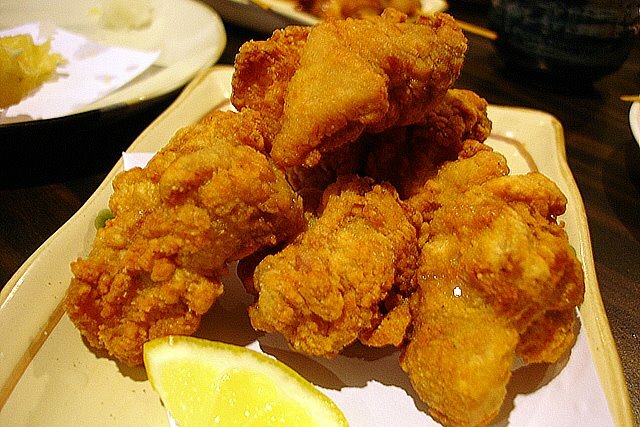 But for me, I think the DIY at home Karaage is nicer. I love the NTUC Store brand karaage. It is the best! Tay's also not too bad. 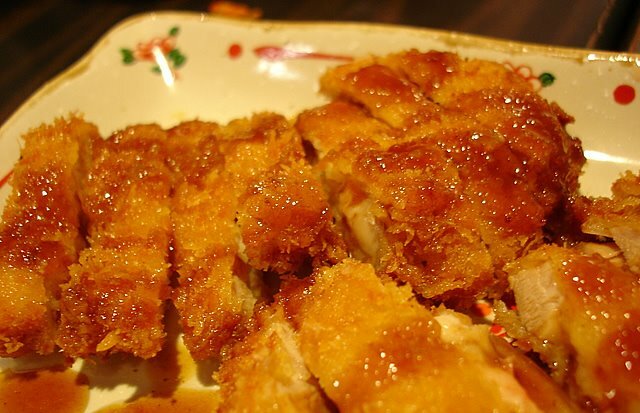 If you like Pork Cutlet, you should order this. It's very crispy and very very delicious. It's crispy on the outside, but very juicy in the inside. If you are wondering if this place is kids friendly. Yes it is. We have 4 children amongst us. We have 2 mums who are totally hooked on sashimi. This is what they ordered, over and over again. 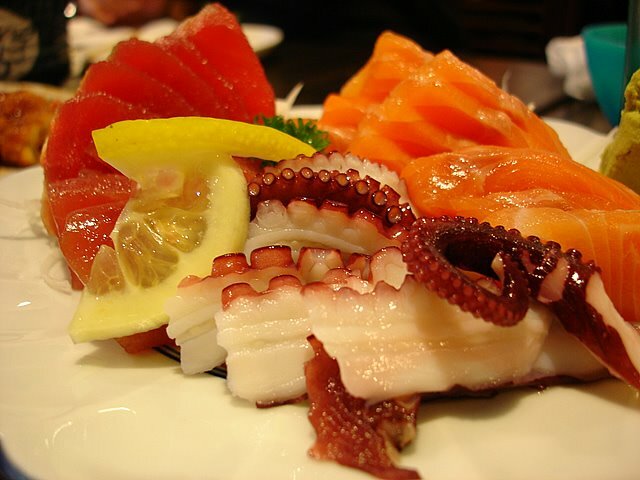 Salmon, Yellow Fin and Octopus. This beef dish is also well loved by us. I actually ate two plates of it! I love onions, so this is one of my favourites. One of the reasons that we chose this place to eat was that the birthday girl wanted a place that has good sashimi. The sashimi is not bad. I think because there are many people coming here to eat, the food is fresh because of its quick turnaround. 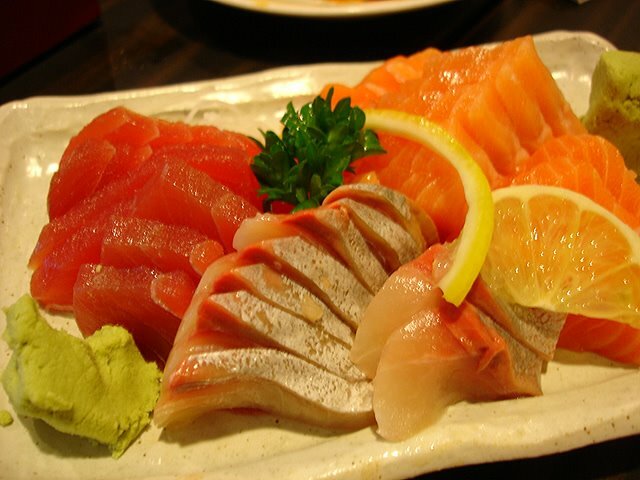 This is the salmon, tuna and yellow fin sashimi platter. 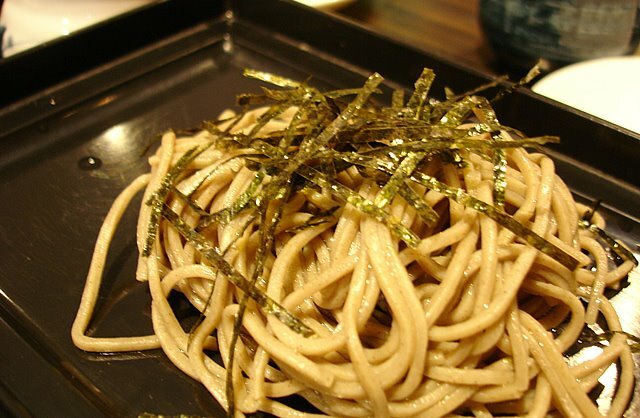 Most of us took a portion of Cold Soba too! It's a Jap restaurant, but it has Kimchi. 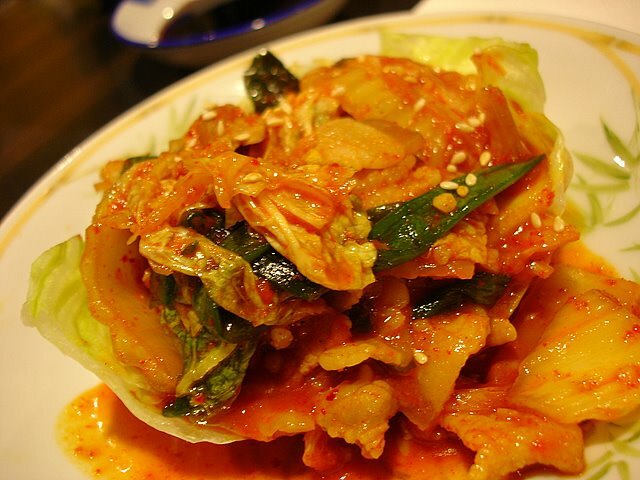 This kimchi is actually quite tasty. The 12 of us ordered a few portions! We celebrated on 21 October, a friend's birthday, the whole bunch of us, met after a long time of not seeing each other. 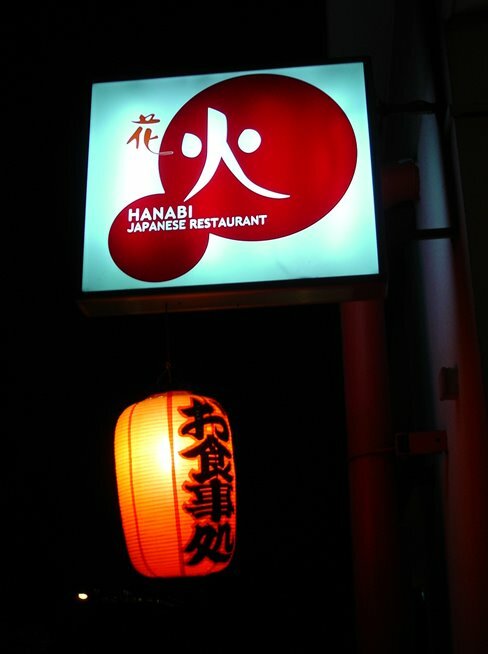 Hanabi Restaurant is a buffet ala-carte Jap place. You can order as much as you can. The price is $30++ per pax. The food's good. They have two branches currently. One at Bukit Timah - King's Arcade. One of the soup I ordered, the Pork Belly Miso Soup. 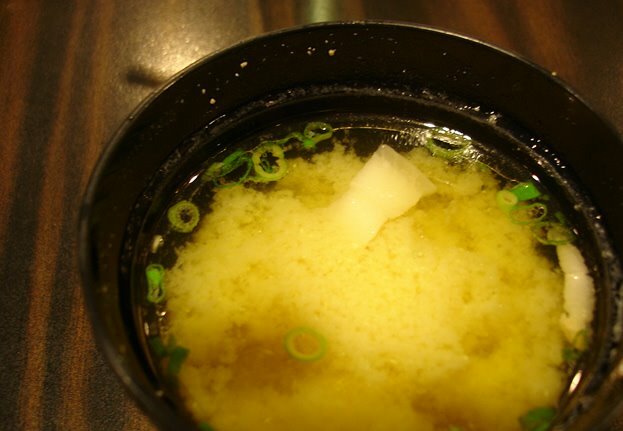 (I think it was miso, I can't really remember) The soup's really good. But a little salty but nice. If you like Sam Lou Hor Fun, you should try the one at Holland Village. Colleagues and I would come to this place if we are adventurous to go out for lunch. "Sam Lou" is Cantonese. 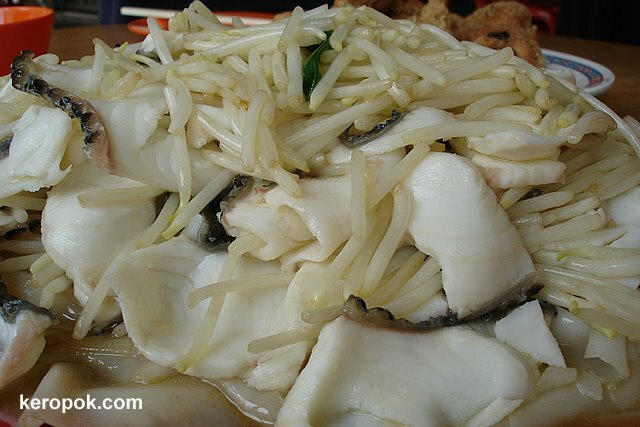 It stands for 3 ingredients : Hor Fun (Broad Rice Noodles), Ngah Choi (Bean sprouts) and Yu (Fish). If you like fruit desserts with jelly, this is what you should try. 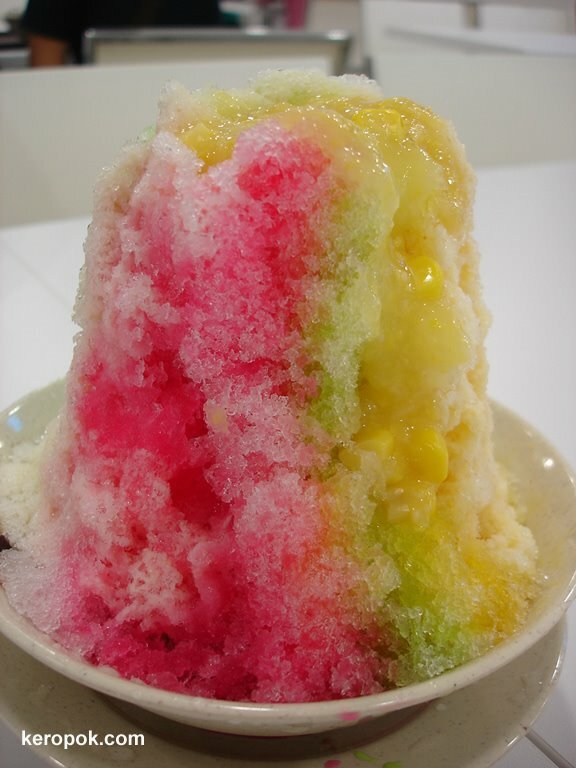 This is shaved ice with canned mix fruit, top with fake tadpoles jelly, and nata de coco. This is called "Red Ruby". It has a very Thai origin. Actually it is also known as "mock pomegranate in coconut milk". The red rubies are made to look like red pomegranates. They are made from water chestnuts wrapped in tapioca flour. It will be served with cold coconut milk. 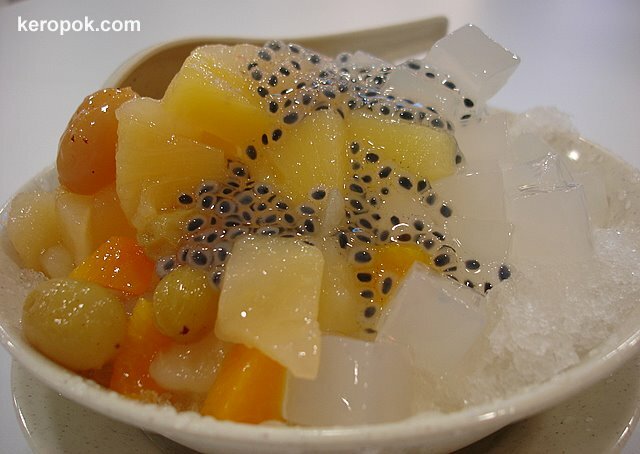 This version is served with green pearl jellies as well and instead of cold coconut milk (with shaved ice) which I prefer. 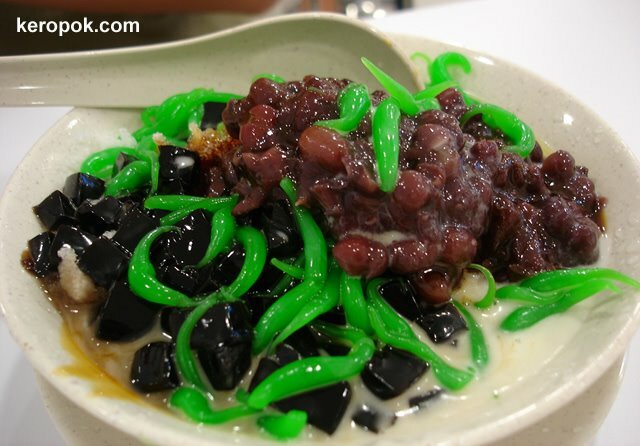 Chendol usually consists of coconut milk, gula melaka (palm sugar), green worms thingy (made of pea flour and usually coloured green), red beans, grass jelly (the black thingy in the picture). If you have them in hawker centres, the price will be around $2 to $3. This is bought in Holland Village's new food court. This is the favourite of all times. Ice Kacang. (translated ice red beans). 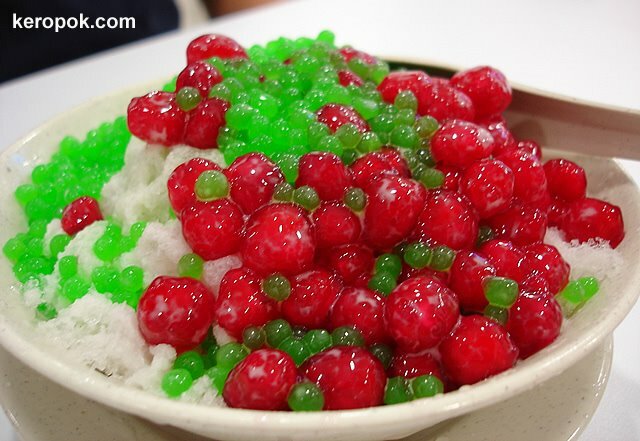 The bottom of this ice mountain are red beans, grass jelly, atap seeds, and others. 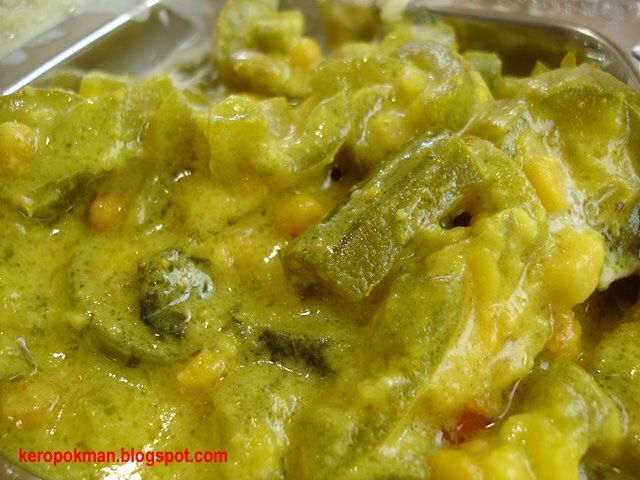 It is then topped with colored syrup and sweet corn. 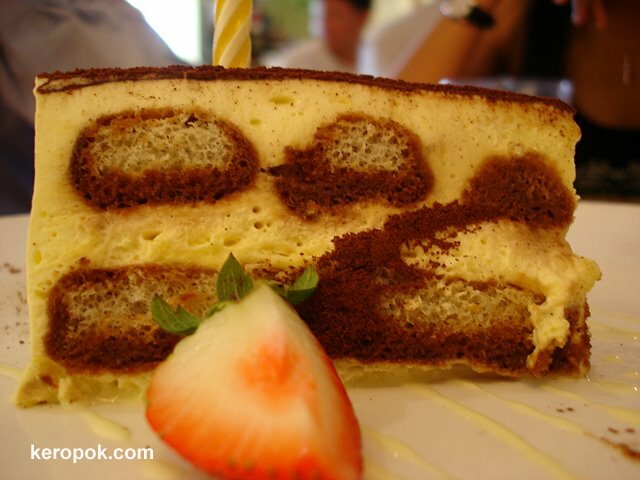 The tiramisu from here's actually not too bad. You can see the lady fingers clearly? I think this is one of the famous dishes at 211 Roof Terrace Cafe. 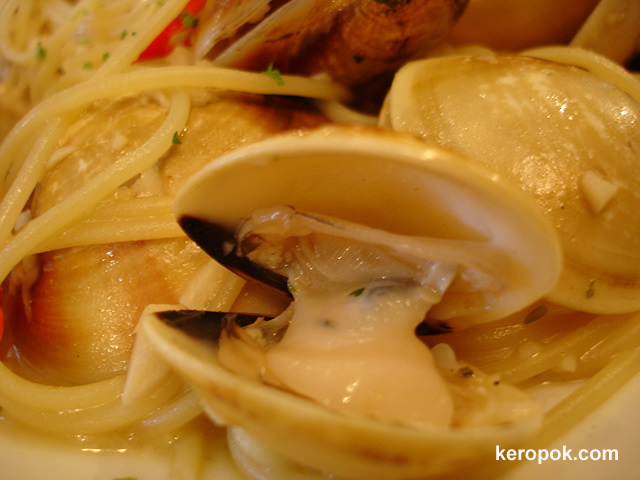 Seafood Pasta. I 'taxed' some from sis' plate, quite nice. 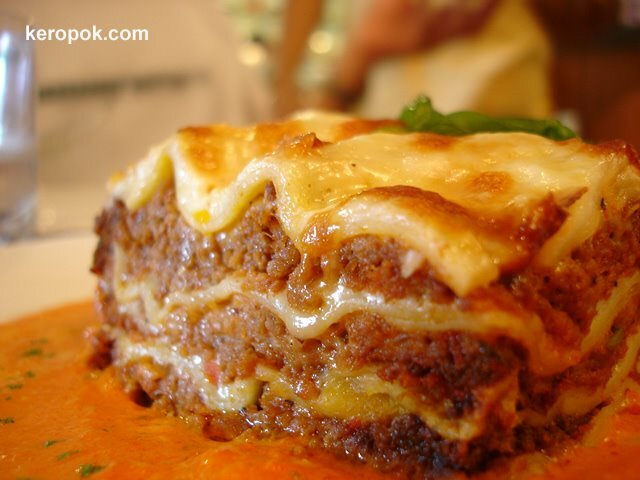 This is the lasagna from 211 Roof Terrace Cafe. This was eaten by my fren Alex. He said it's not bad. I guess you can take his word for it. 211 Roof Terrace Cafe is at the top of Holland Village Shopping Centre. 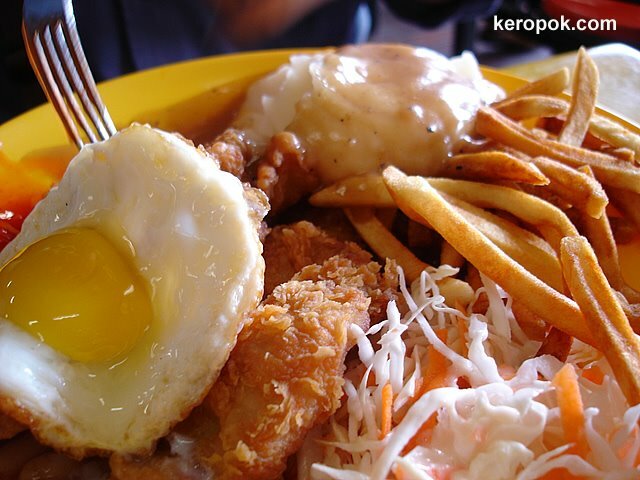 Chicken Cutlet with Extra Egg, Arts Canteen, National University of Singapore. I love runny eggs, do you? This is home made. What I prepared with whatever is found in my fridge. Spicy Karaage Chicken baked in the oven till crispy, then chopped into bite size pieces. 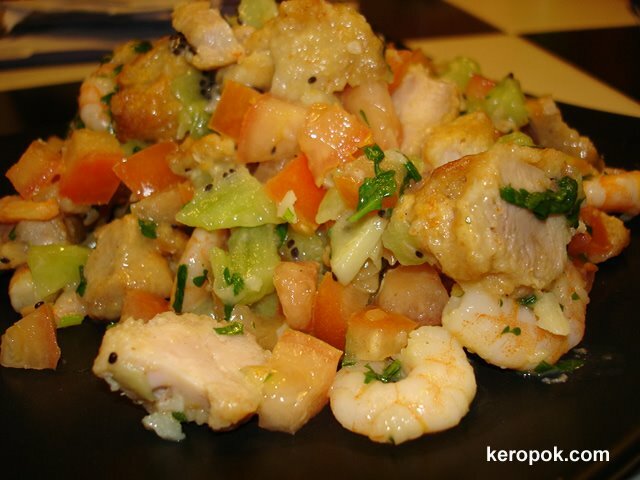 Prawns stir fried with garlic and abalone sauce. Parsley chopped up. 2 Kiwi Fruits, cut into cubes. 2 Tomatoes cut up into cubes as well. Mix them all up in the wok where the prawns were fried and that's it. It taste quite delicious. $4 for chicken bryani, and $3.50 for mutton byrani. Sunday afternoon. (That's yesterday) My sister and I were walking at Takashimaya Shopping Centre. She's hungry and was craving for some Tonpeiyaki. Wanted to eat them at those little kiosk, but realise it's no longer there. There's Aji Tei just beside it, and so, why not.. 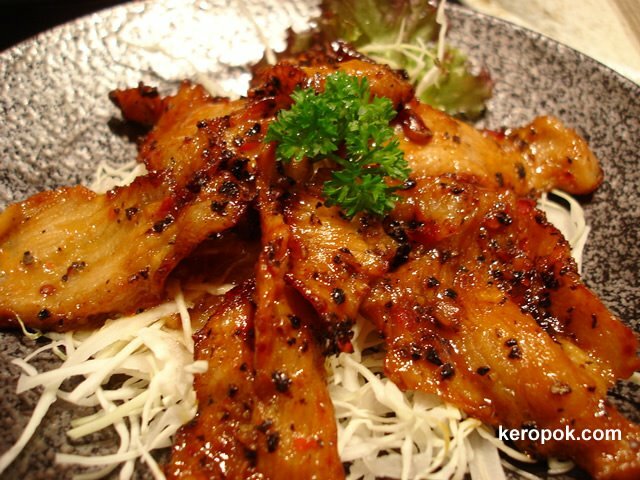 The Tonpeiyaki. 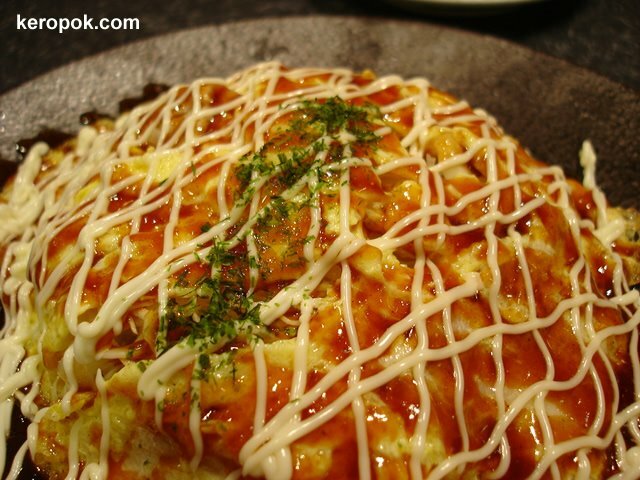 Slices of Pork, cabbage and egg omelette. 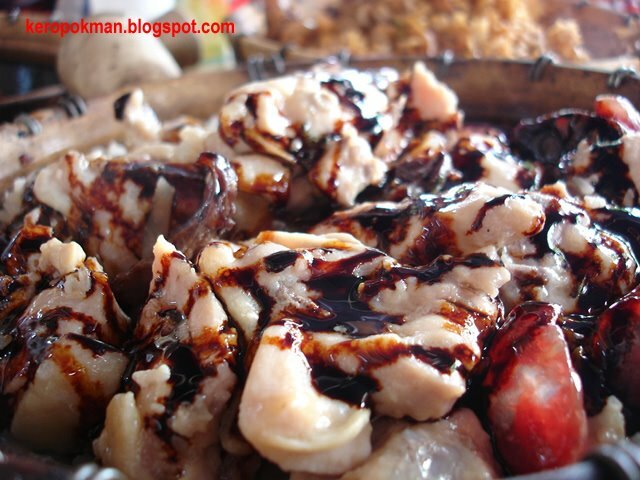 Grilled White Fish with Cream Sauce. 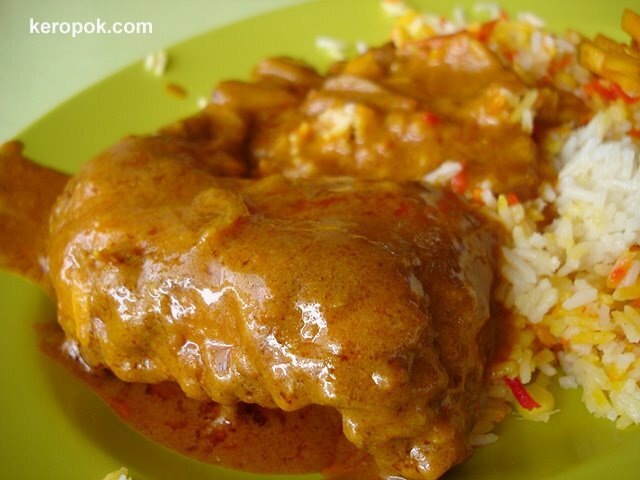 It's served on a hot plate, with the fish in aluminium foil container. 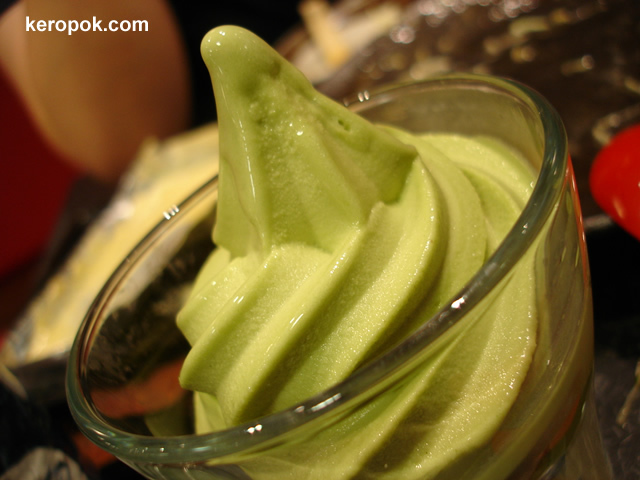 An old Japanese couple was eating green tea ice kachang thingy beside us. Looks delicious. But I wonder how they felt about the waitresses. They were shouting mase mase instead. What's that? Isn't it suppose to be irasha imase? I wonder if they understood what they said! The price was less than $30, Jap Tea included. 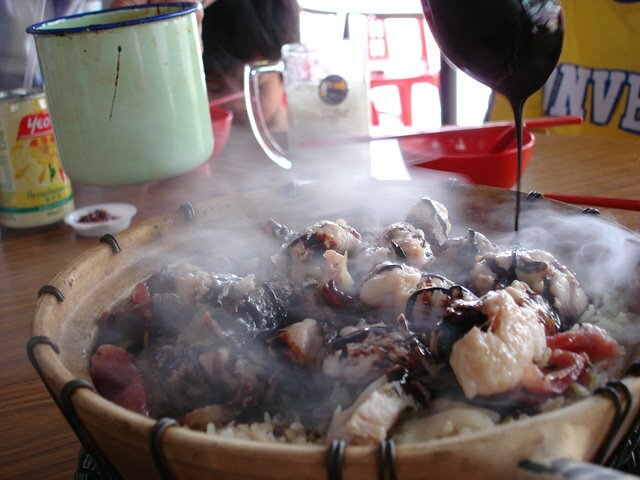 Claypot Rice. 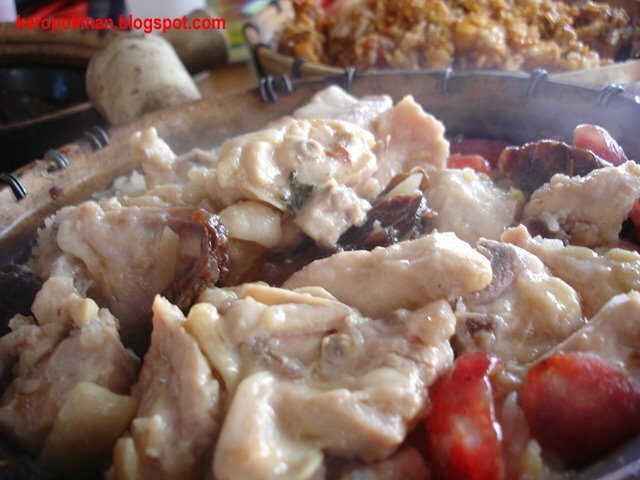 They are rice cooked inside claypots with chicken meat, salted fish, chinese sausages on top of it. 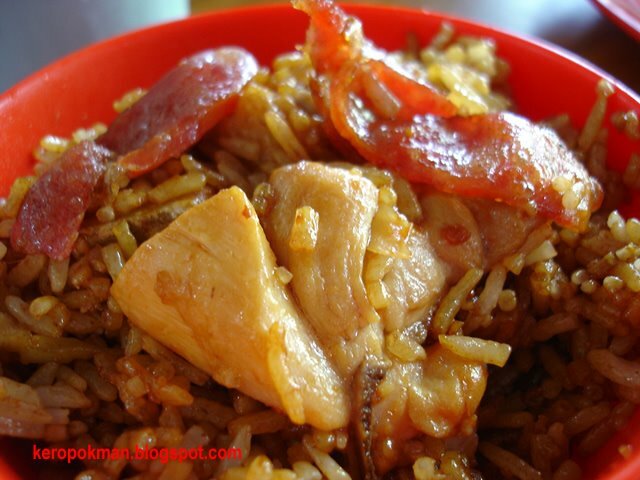 This pictures are taken from the Clementi Block 328 Claypot Rice stall. The one that you have to wait for at least half an hour. They cook the rice from the pot and not the short cuts one that many other stalls do. The rice comes like this, hot and steaming. Then you put oil and black sauce over it. Depends on how oily and how black you want the rice to be, it's your choice. Not too much for us. No oil for us too. Then you stir and mix everything vigorously. 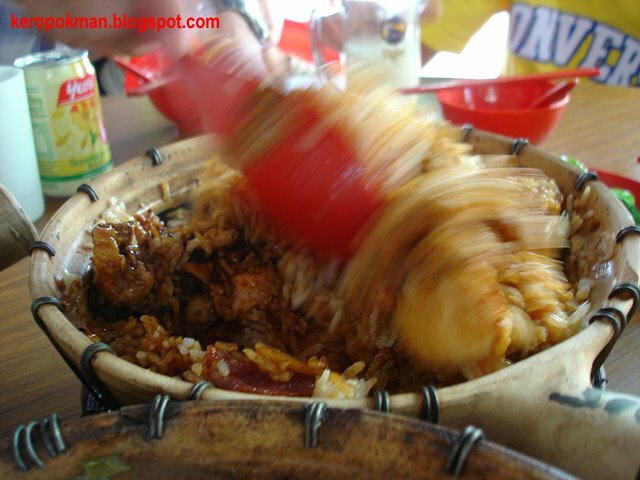 As the claypot is really hot, you got to stir fast before the bottom gets burnt! After all the hard work stirring, this is what is on my bowl. Continuation of yesterday's pictures of Indian Food. A slice of fried fish. 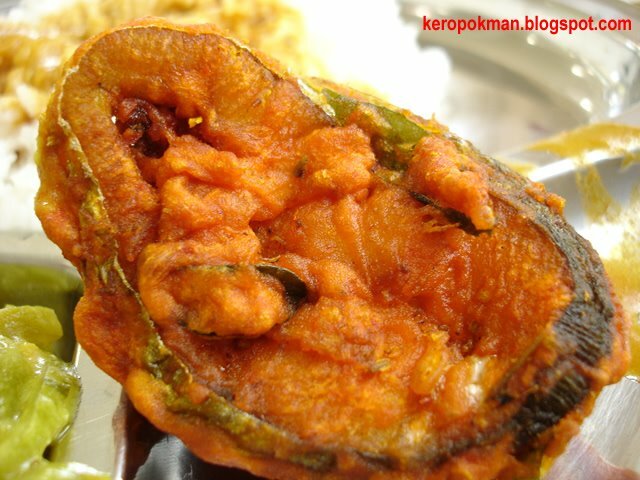 Mackerel, deep fried with batter with Indian spices and curry leaves. 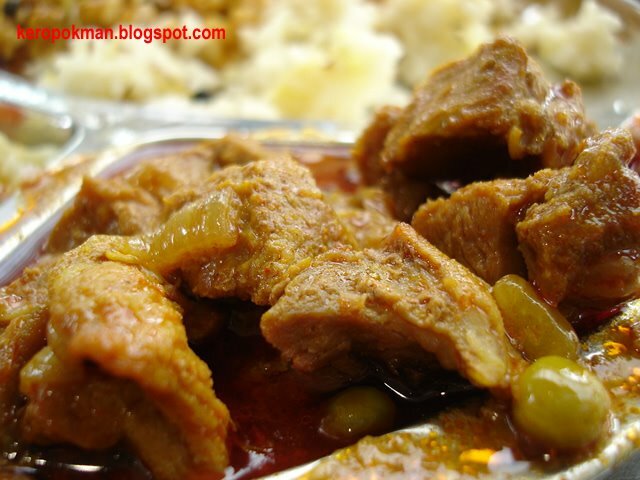 Curry Mutton. This was ordered by colleague. Snapped picture off his plate. This is lunch with colleagues. 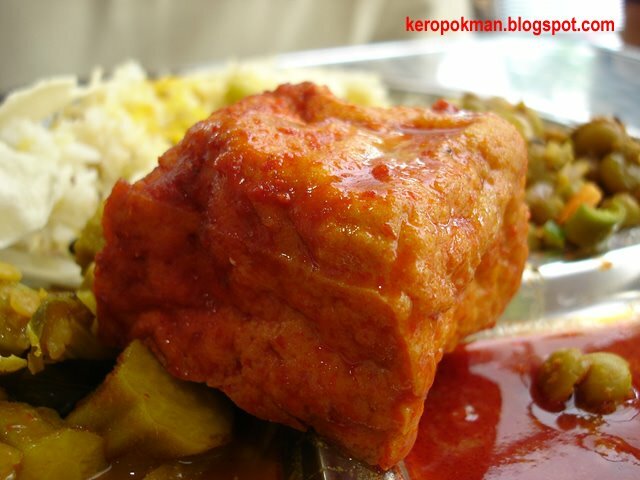 It is the Indian Food at the Engineering Canteen, NUS. Depending on what you pick, lunch will be around SGD2 - SGD3. This is Ladies Fingers (or Okra). One of my favourites. This is chilli tofu. Tasty? It is served on a metal tray with compartments. 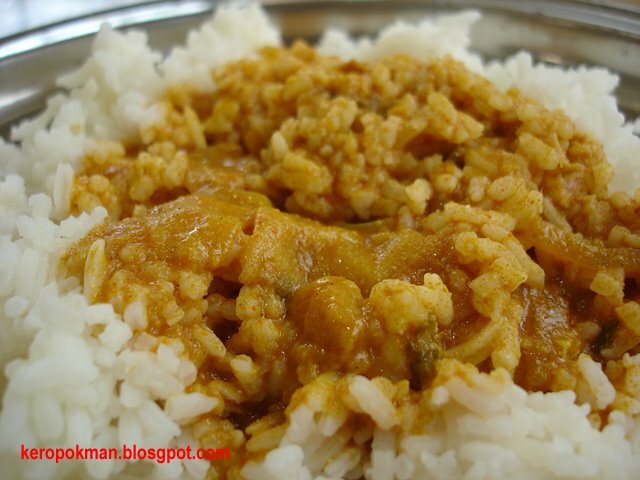 This is the rice, usually topped with curry of your choice. 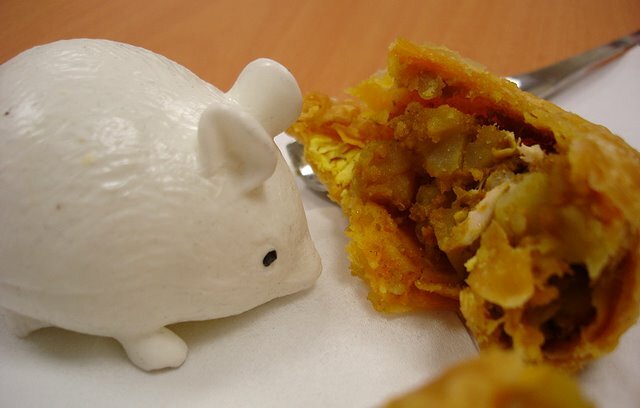 The Mouse Tried to eat my Curry Puff. Mouse who tried to eat my Curry Puff. The Curry Puff in its whole splendour. 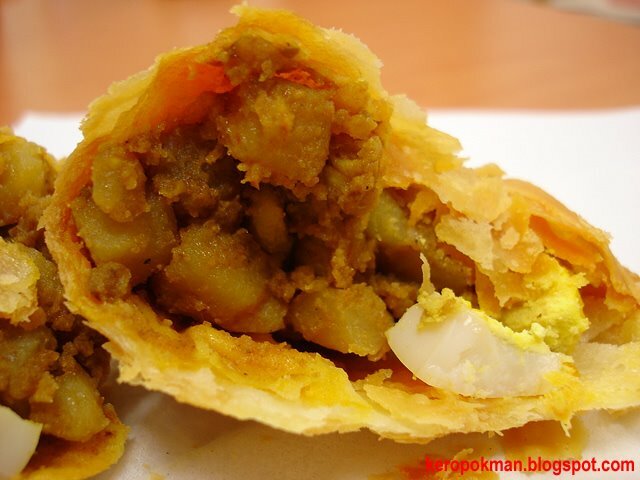 The inside of the curry puff. 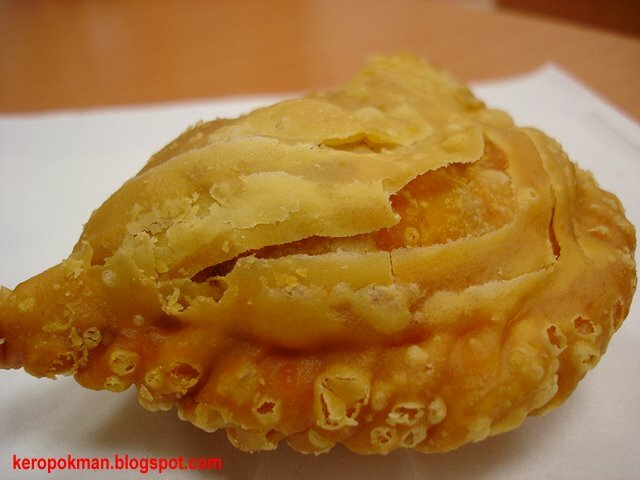 This curry puff was bought from the Hong Lim Food Centre. 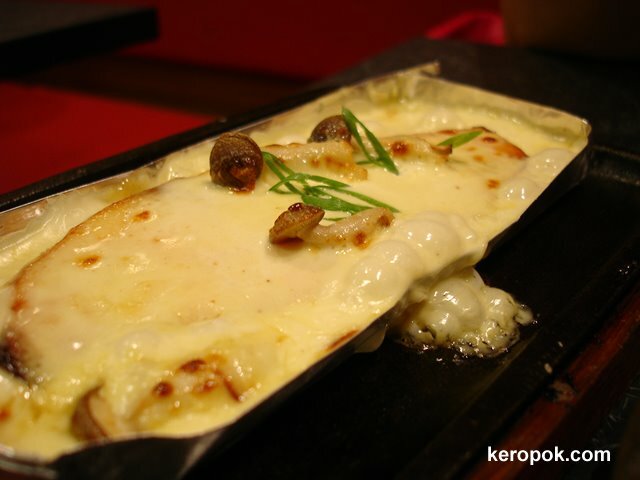 View the post on Hong Lim Food Centre here.